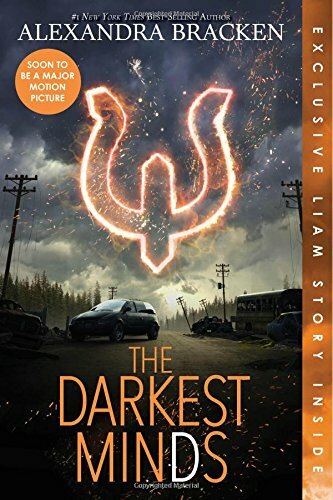 "Book one in the hit series that's soon to be a major motion picture starring Amandla Stenberg and Mandy Moore—now with a stunning new paperback look and an exclusive bonus short story featuring Liam and his brother, Cole. When Ruby woke up on her tenth birthday, something about her had changed. Something alarming enough to make her parents lock her in the garage and call the police. Something that got her sent to Thurmond, a brutal government "rehabilitation camp." She might have survived the mysterious disease that killed most of America's children, but she and the others emerged with something far worse: frightening abilities they cannot control. Now sixteen, Ruby is one of the dangerous ones. But when the truth about Ruby's abilities—the truth she's hidden from everyone, even the camp authorities—comes out, Ruby barely escapes Thurmond with her life. On the run, she joins a group of kids who escaped their own camp: Zu, a young girl haunted by her past; Chubs, a standoffish brainiac; and Liam, their fearless leader, who is falling hard for Ruby. But no matter how much she aches for him, Ruby can't risk getting close. Not after what happened to her parents. While they journey to find the one safe haven left for kids like them—East River—they must evade their determined pursuers, including an organization that will stop at nothing to use Ruby in their fight against the government. But as they get closer to grasping the things they've dreamed of, Ruby will be faced with a terrible choice, one that may mean giving up her only chance at a life worth living."